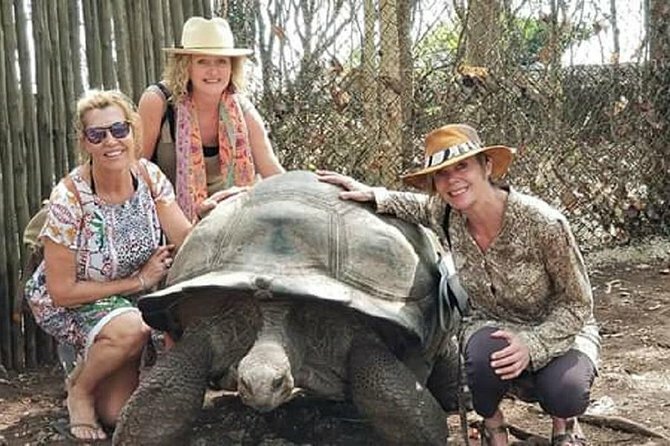 Travellers will have opportunity to play, to feed and to interact with Aldabra giant tortoises. Explore Prison island building and have a time for snorkel there. Departure Time: This tour starts anytime from 9:00am, 9:30am, 10:00a,10:30am,11:00am, 11:30am, 12:00pm, 12:30pm, 1:00pm,1:30pm, 2:00pm, 2:30pm, 3:00pm, 3:30pm,4:00pm. However it lasts after three hours.